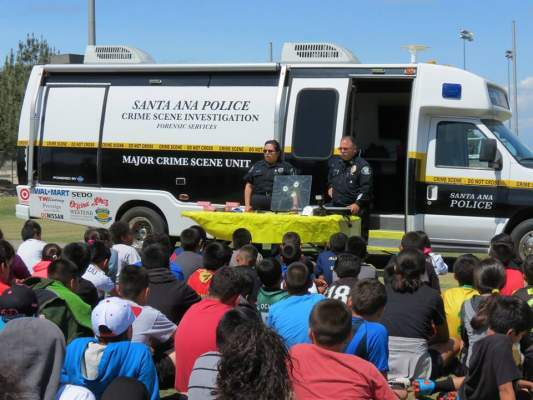 The program is being held at Russell Elementary School at 600 South Jackson Street, Santa Ana. Members of the media are invited to attend all portions of the event. During the camp, approximately 44 students between the ages of 9 and 11 will spend the mornings taking part in a fitness agility course and learning soccer techniques from volunteer coaches to improve their athletic skills, health, and self-esteem. Students will then participate in afternoon educational workshops where they will have an opportunity to learn about law enforcement and positive decision-making from a deputy district attorney, police officers, educators, and Chapman University students. The educational workshops will focus on building character and defining career goals. OCDA Bureau of Investigation Chief Craig Hunter will award participating students with a Certificate of Achievement that recognizes their physical accomplishment and encourages them to refrain from gang activity in the future by succeeding in school and making positive lifestyle choices. This event was sponsored by the Orange County Youth Sports Foundation, a nonprofit organization dedicated to helping instill a sense of hope, opportunity, and accomplishment in our community’s youth.